For Prelims: Which three banks are being merged? For Mains: Merger- Significance, pros and cons, concerns. Context: The Centre has proposed the amalgamation of state-owned Bank of Baroda, Dena Bank and Vijaya Bank to create India’s third largest bank as parts of reforms in the public sector banking segment. The proposal will now need the approval of the boards of these individual banks. The banks’ boards will shortly meet and take up the decision. Technical inefficiency is one of the main factors responsible for banking crisis. The scale of inefficiency is more in case of small banks. Hence, merger would be good. 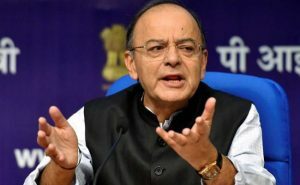 A better and optimum size of the organization would help PSBs offer more and more products and services and help in integrated growth of the sector. The size of each business entity after merger is expected to add strength to the Indian Banking System in general and Public Sector Banks in particular. The volume of inter-bank transactions will come down, resulting in saving of considerable time in clearing and reconciliation of accounts. The burden on the central government to recapitalize the public sector banks again and again will come down substantially. 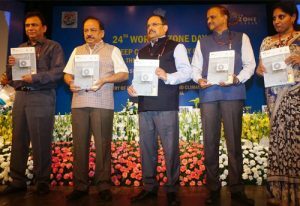 This will also help in meeting more stringent norms under BASEL III, especially capital adequacy ratio. A great number of posts of CMD, ED, GM and Zonal Managers will be abolished, resulting in savings of crores of Rupee. This will also reduce unnecessary interference by board members in day to day affairs of the banks. After mergers, bargaining strength of bank staff will become more and visible. Bank staff may look forward to better wages and service conditions in future. The wide disparities between the staff of various banks in their service conditions and monetary benefits will narrow down. Customers will have access to fewer banks offering them wider range of products at a lower cost. From regulatory perspective, monitoring and control of less number of banks will be easier after mergers. This is at the macro level. Immediate negative impact would be from pension liability provisions (due to different employee benefit structures) and harmonisation of accounting policies for bad loans recognition. Mergers will result in shifting/closure of many ATMs, Branches and controlling offices, as it is not prudent and economical to keep so many banks concentrated in several pockets, notably in urban and metropolitan centres. Mergers will result in immediate job losses on account of large number of people taking VRS on one side and slow down or stoppage of further recruitment on the other. This will worsen the unemployment situation further and may create law and order problems and social disturbances. The weaknesses of the small banks may get transferred to the bigger bank also. New power centres will emerge in the changed environment. Mergers will result in clash of different organizational cultures. Conflicts will arise in the area of systems and processes too. Merger is a good idea. However, this should be carried out with right banks for the right reasons. Merger is also tricky given the huge challenges banks face, including the bad loan problem that has plunged many public sector banks in an unprecedented crisis. Since mergers are also about people, a huge amount of planning would be required to make the consolidation process smoother. Piecemeal consolidation will not provide a lasting solution and what is required is an integrated approach from all stakeholders including the government. For Prelims: Meaning, benefits and effects of Jhum cultivation, different names of it. For Mains: Concerns, issues associated, need for a policy on this. 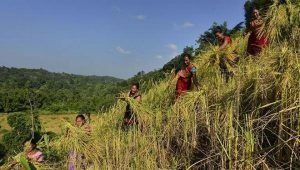 Context: A recent NITI Aayog report has recommended that the Ministry of Agriculture should take up a “mission on jhum cultivation” to ensure inter-ministerial convergence. Therefore, shifting cultivation fallows must be legally perceived and categorised as ‘regenerating fallows’ and credit facilities must be extended to those who practise shifting cultivation. Land for shifting cultivation should be recognised as “agricultural land” where farmers practise agro-forestry for the production of food rather than as forestland. Topic: Money laundering and associated issues. For Prelims: APG- objectives, composition and functions, FATF, grey list. For Mains: Performance of various countries including Pakistan, Money laundering- global concerns. Context: Almost three months after Pakistan was placed on the Financial Action Task Force (FATF) grey list for failing to curb terror funding, Pakistan’s recent action against terror financing, particularly on the “legal” front, was found to be “unsatisfactory”, according to a review by the Asia Pacific Policy Group (APPG). Another review for Pakistan will be held in December this year following which a final evaluation report will be prepared. For Pakistan, the first deadline is January 2019 failing which they may face more heat. By then, Pakistan will have to publish updated lists of persons and entities proscribed under the Anti-Terrorism Act and the UN-designated entities. It is the FATF-style regional body for the Asia-Pacific region. It is an inter-governmental organisation founded in 1997 in Bangkok, Thailand. The APG consists of 41 member jurisdictions and a number of observer jurisdictions and international/regional observer organisations. International organisations which support the work of the APG may also join as supporting observers. Jurisdictions that join the APG, either as members or as observers, must commit to implement the international standards against money laundering, the financing of terrorism and proliferation financing (WMD), in particular the Recommendations of the Financial Action Task Force (FATF). These standards were substantially updated in 2012 and are supplemented by a complex assessment methodology in 2013 which forms the benchmark for mutual evaluations. Private sector engagement: Private sector engagment is critical to the APG’s overall objectives. The APG actively engages with financial and non-financial institutions, NPOs, training centres and universities in the Asia-Pacific to better inform the general public and specialists about global issues relating to money laundering, terrorist financing and proliferation financing. 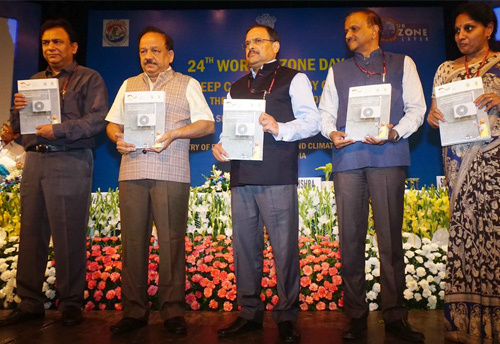 Context: MoEFCC has released the draft India Cooling Action Plan (ICAP). ICAP has been prepared by the ministry after extensive deliberations and multi-stakeholders engagement in public domain for receiving comments. 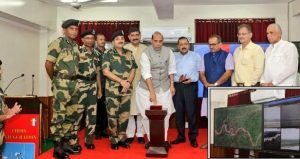 Context: India’s first ‘smart fence’ pilot project has been launched along the India-Pakistan International Border in Ploura, Jammu and Kashmir. The smart fencing uses a number of devices for surveillance, communication and data storage. The innovative system provides for round-the-clock surveillance on the border, even in different weather conditions be it dust storm, fog or rain. It also reportedly comprises automated surveillance technology and alarm detection systems. The smart fence pilot project is expected to be a massive boon for monitoring security situations in border areas. It is a technological solution devised to make the security system at the borders more strong and effective. The system will virtually make it impossible for terrorists to infiltrate into the Indian side of the border. 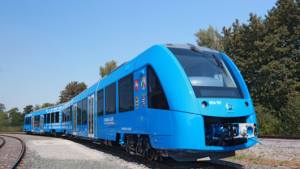 Germany has rolled out the world’s first hydrogen-powered train, signalling the start of a push to challenge the might of polluting diesel trains with costlier but eco-friendly technology. How they operate? Hydrogen trains are equipped with fuel cells that produce electricity through a combination of hydrogen and oxygen, a process that leaves steam and water as the only emissions. Excess energy is stored in ion lithium batteries on board the train. The Maharashtra Government has taken the first step towards setting up a varsity dedicated to mitigating cyber threats. It has set aside ₹80 crore for the first round of its funding and the proposal for the project will be tabled in the State cabinet’s consideration in the first week of October. The new Cyber University will train 3,000 professionals to fight online space cyber attacks, internet crimes, and conduct cyber forensics. It will also impart training in 15 other Internet of Things (IoT) areas such as Data Analytics and Artificial Intelligence (AI). The varsity will provide for and prepare internet professionals on the lines of the Microsoft Certified Professional Program. The courses will cost less than ₹5 lakh for courses in data analytics, cloud computing, blockchain, AI, cyber forensics and cyber investigations. Next story Insights MINDMAPS: “India-US 2+2 Dialogue”.